Gum Hole campground and picnic area is a great place to explore Warrabah National Park and go bushwalking, birdwatching, fishing, swimming or canoeing on the river. Contact Narrabri office on 02 6792 7300. Enjoy relaxed and easy camping in incredibly lush, tranquil surroundings at Gum Hole campground and picnic area. It’s a fantastic spot that’s perfect for picnics by the river, with plenty of space for the kids to run around. Take your 4WD for this riverside camping experience. 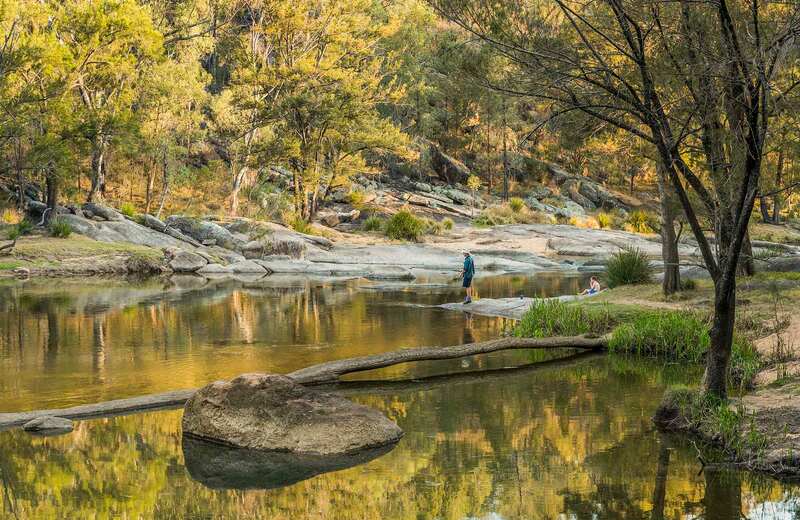 From here, you have direct access to Namoi River and all the adventures and activities it offers, be it swimming and paddling in the water, fishing for your dinner, canoeing through the rapids, or simply soaking up the sights and sounds of the local wildlife.